A holiday made for you ! In addition to exceptional comfort, your holiday takes place in a dream setting: Mauritius! Brief profile of this island of a thousand attractions… click on the video for a quick tour of this exceptional heritage. Relaxation and body care ! The spacious terrace at the top (the roof of the Villa Bungaroo) is a favorite place to relax in privacy: lying on one of the many deckchairs you will tenderly cradled by sea breezes. Obviously, a short walk at Pereybere beach, which concludes with a swim at the ideal temperature, is the best way to cool a little. The first experience we offer is of course the scuba diving: snorkeling, snorkeling or bottled, it is a world of color and life that awaits you. 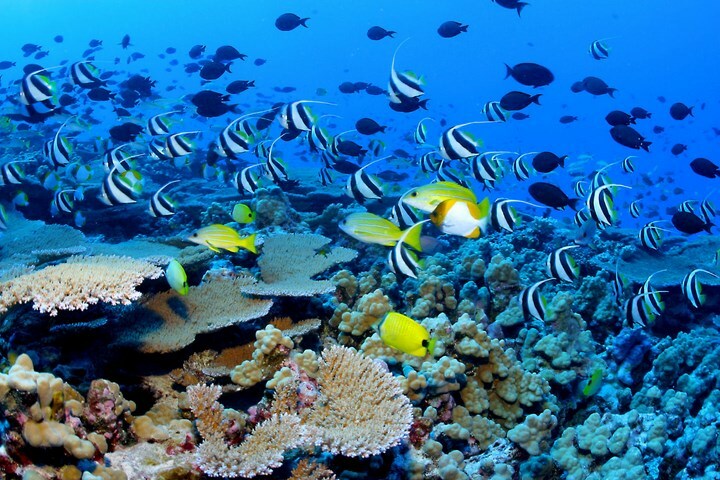 A spectacle difficult to describe in a few words … Colourful Fish majestic coral seabed are of breathtaking beauty and also can admire various shipwrecks. You can even get your diving certificate in one of the approved centers. The turquoise sea gives obviously a want to swim, but also to try different skiing sports. Various water sports centers offer to rent sailboards, kite surfing, windsurfing and of course surfboards. The Island offers « spots » incomparable, suitable for both beginners and confirmed « riders ». Why not go on a sea tour or rent a boat? Enjoy it for a portion of sea fishing aboard a boat from 40 to 50 feet … Rent from the JP Henry Charters Ltd, Zazoufishing or Sportfisher for example. 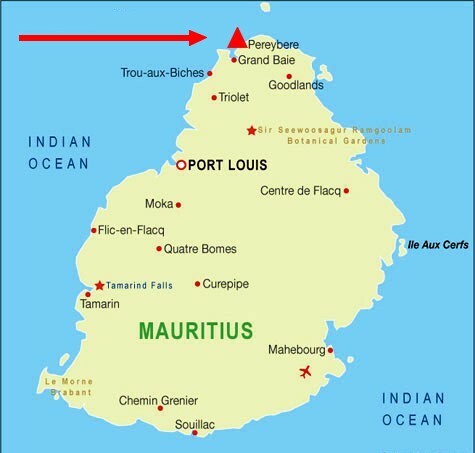 Leave for Mauritius is set foot on a volcanic land with lush vegetation. 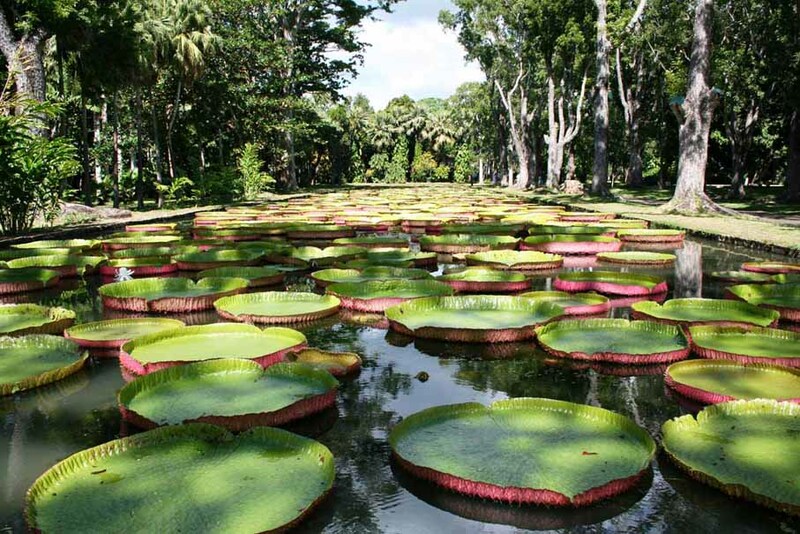 Do not miss Pamplemousses Botanical Garden side, it is superb … and filled with history. In Mauritius, cultures of all backgrounds have found a warm home ground. Remains of colonization through the Creole culture, you will love the ambiance of its markets and narrow streets that bear witness to this cultural wealth where Asian touches are also visible. Port Louis, the capital, is the best example of the different multicultural stories based perfectly with the modernity of the city center. 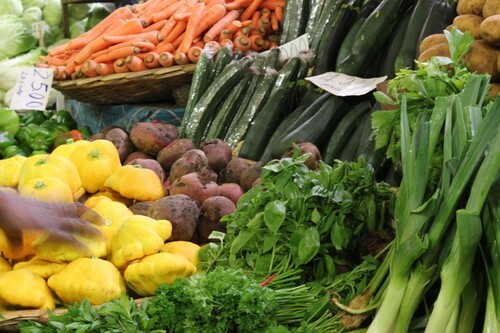 – Or even at Le Fangourin in Beau Plan where all the Mauritian cultures are expressed perfectly: rougailles, fish vindayes, vegetable chutneys, etc. The Villa Bungaroo has conquered you, as well as its environment ??? Then check our availabilities o n this page !